Ah, the Google Pixel 3 XL. Mountain View’s upcoming smartphone took another crown away from Apple this year. Beating the iPhone 4, Google’s Pixel 3 XL is the most leaked smartphone in tech history; courtesy of a handful of leaked smartphone batches that might have originated from Foxconn so far. Taking a look at the information that has surfaced so far, the misplaced batch of devices are review units of Pixel 3 XL as they’ve featured ‘teampixel’ stickers as a part of box components. Google’s. known to distribute these to its partners, and this looks to hold true this year unless the company’s also looking at a marketing shift. With this in mind, we’ve got more details about what might be the reason behind Google’s Pixel 3 XL (according to a blogger), and a tentative launch date for the lineup. Head on below for more details. 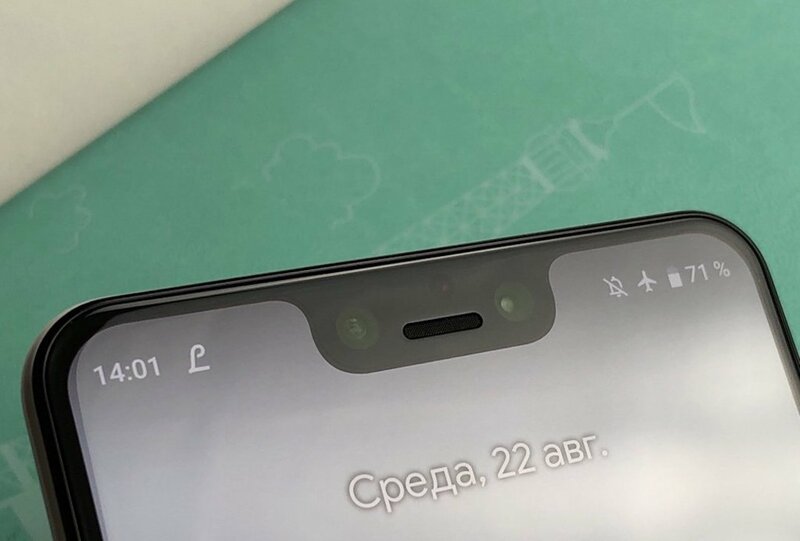 Russian blogger Eldar Murtazin, who was one of the first to post a detailed review for the Pixel 3 XL is making some interesting claims for the reasons behind the leaks. According to him, Google’s infusion with HTC’s designers has led to a lot of new ideas and conflicts in the company. Google is currently developing seven different smartphones, two of which are the Pixel 3 and Pixel 3 XL. A face unlocking method, potentially backed by IR recognition. Dual rear camera setup with a vastly upgraded AI setup. A new Qualcomm chipset with a custom GPU; unknown whether this will be Google’s custom solution along the lines of the visual core or a collaboration between the two companies. Murtazin believes that the internal rift between Google and former-HTC employees has resulted in a deliberate attempt by some to gauge market reaction for the Pixel 3 XL two months before its release. If deemed unsatisfactory, Google can proceed to speed up development on the fourth-generation Pixel smartphones; which really do sound a mouthful with a lot of upgrades that would have made sense on the Pixel 3 and Pixel 3 XL. Not one to miss out on a scoop, Bloomberg’s Mark Gurman is back today. His information corroborates an earlier Pixel 3 leak (can’t get enough of these really) that originated from Google. Both these reports, the earlier leak and Gurman’s information both indicate that the Google Pixel 3 lineup will launch in October. However, while the earlier leak showed it as October 4th, Bloomberg believes that Google will move it forward to October 9th. The Pixel 3 lineup has taken a turn few would have expected at the start of the year. With the Pixel 3 XL out in the open, Murtazin’s explanation that borders on the edge of tinfoil might have some merit. Of course, neither the blogger nor we believe that you should take it as set in stone. It just provides an interesting look and suggests that Google’s Pixel 3 lineup will merely serve as an experiment with contract manufacturing before the company switches to the heavy-duty specifications.